Now, time to plan for the most important day of your life. However, wedding planning can sometimes prove to be a daunting process, so to give you a quick heads up and help you through the endless decision makings, headaches, compromises and questions, this guide will prove to you that wedding planning does not need to be a pain staking process, it can have its moments and sometimes, just sometimes… it can even be good fun. We have designed this book to help guide you through the arrangement process of organizing your wedding day. 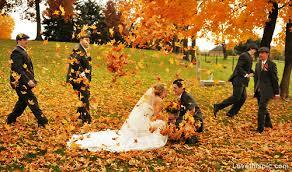 We will help you avoid any unexpected problems and pit falls when preparing for the biggest day of your life. Included in the book are real life excerpts from past brides and grooms, describing the best decisions that they made, and what they would have done differently in hindsight. We have also included quotes from the UK’s top wedding suppliers, who were willing to share their experiences with us. There is also a useful ‘countdown to the day’ section – a timeline outlining where you should be during the run up to the day and what to expect on the day itself. For those of you who are always hunting for unusual wedding ideas to make your day unique, take a look at our ‘20 Ways To Personalise Your Day’ section. For the budget savvy bride and brooms, we have also included our very own case study, showing how you can dramatically reduce your wedding budget, following our simple steps. Thrust into the role of organizing your own wedding can make for a steep learning curve. From the initial elation of getting engaged, you will suddenly find yourself making arrangements on a whole range of circumstances you never gave much consideration to before such as, shall we invite children, what are the average amounts of drinks consumed per person to how do I prevent my uncle from making a fool of himself on the dance floor. With this in mind and to help you before you continue reading, we have added some of the ‘Wedding Jargon’ you might be expected to know. So when the venue manager asks you what you have in mind for your Wedding Breakfast you can answer correctly, without telling him ‘Weetabix’. Permalink | Categories Uncategorized on January 18, 2016 by weddingh | Comments Off on Now you are engaged you can start to build your own wedding website with wedding hand. 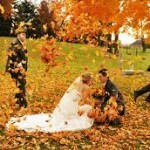 At Weddinghand.net we fully understand how crucial any type of visual element is to your wedding day. Therefore we strive to create wedding websites with this in mind. This is a great way of showing off chosen your wedding theme,without letting too much away before your wedding day. Florists can create many wonderful designs and all will add to the feel of your wedding day. Cost can vary significantly Usually between £300 upwards depending on season and where the flowers are sourced. Many modern day floristes require a deposit between 20% and 50% with is completely acceptable, as they have many up from t cost, when buys the flowers from there chosen dealer or a flower market. Maybe consider booking your florist at least 32 weeks before the big day or even sooner should you have preference for a certain florist. Always drive to find out what the signature style of the florist is. Also ask to see designs, and take note how these will vary from season to season. Keep this in mind as this is relevant to you r wedding day and the choose that will be on offer. Always make sure that your florist has worked in the wedding industry before and that they know what is expected of them. • Check that their prices are correct to the season that you are booking for, and that the flowers you have in mind will be in stock within this time period. make sure the bouquet suits your wedding dress and style of the wedding day. A good florist should be able to guide you in the right direction without being too pushy. they should steer you through any of the ideas you might have and be happy to suggest ideas without being pushy or single minded. Learn all the different terms florists may use, to help you get what you are looking for. Such words you might encounter are… BRIDAL BOUQUET: BRIDESMAIDS BOUQUETS: BOUTONNIERES: CENTERPIECES:SWAGS: All of which are common place in a florists vocabulary. A good florist should explain these to you but also be happy to speak to you in ‘Laymans terms’ to not confuse you with all the wedding florist jargon. Let the stylist work on the bridesmaid’s hair first and the bride’s last. That way the bride’s hair will be perfect just before she makes her entrance. This also works great should your photographer be looking at taking some ‘getting ready’ shots of you. The photographer would normally be with both the bride and groom about an hour before the ceremony. This way they have a chance to capture some pre wedding shots of the bridal party getting ready, plus any emotional exchanges that you may have with close friends or family members. It also gives the photographer the opportunity to take any close up images of your wedding attire like your shoes, dress and any accessories you may have. The groom and groomsmen should arrive at the ceremony about an hour before the service starts. They will need to meet with the registrars before to check that all the details provided are correct and that they are in a legal position to marry. This is a great opportunity for the photographer to get some pre ceremony shots of the groom and groomsmen together. If the groom and groomsmen are considering a crafty pint beforehand, they should remember to visit the lavortories plenty times before the ceremony starts, so that they are not jiggling up and down during the service! If the bride is arriving in the wedding car, the transport company should be prepared for any type of weather, so that the bride looks perfect for her entrance. The bride should plan to leave in plenty of time when travelling to the ceremony. It is far better for the bridal party to wait in the car as opposed to making an early appearance, allowing the wedding guests to see them before they make their entrance down the aisle. The bride will have met with registrars either immediately before she makes her entrance down the aisle or earlier on in the day. This is to check again that they are fit and proper to marry and fulfill any legal criteria. Try and wake up early. You will most likely be drinking throughout the day (including a sneaky Champagne whilst getting ready) It has also always been a tradition for the groom to have a crafty pint before the ceremony to settle the nerves. If this is the case make sure you ‘line your stomach’ and even though you will be nervous, eat as much breakfast as possible. The whole day will seem like a whirlwind so really try and take a moment to take stock of the day. So many brides and grooms say the day went so fast, so try to have some time as a new husband and wife together, to simply reflect of the momentousness of the occasion. This will be easier said than done with family and friends around you wanting to congratulate and chat with you. THE WEDDING DAY, WHAT SHOULD I EXPECT? Here is a description of a typical wedding day, to help you prepare and know what to expect, so that everything runs as smoothly as possible. Set the alarm for an early start and make sure you have something to eat! Even if you feel too nervous, it is going to be a long day, most likely with an excess of alcohol, so that last thing you want is a low blood sugar level as you are heading down the aisle! If the bride has a hairdresser coming to style her hair, leave enough time for any changes. A stylist will probably be looking at around one hour for a ‘put-up’ with any accessories within the session, such as a tiara. If the bride is travelling to the hairdressers, they should leave plenty time and take a friend with them. Prepare for any circumstances, such as not been able to park the car near the hairdressers. The bride should always take an umbrella with, even if it is not forecasted rain, just in case the wind gets up. The bridesmaid’s hair will take about 30 minutes per bridesmaid, depending on the style, so account for this within your schedule. Make sure the hair stylist is available to help if the bride is you be wearing a veil. That way they can arrange anything, should fitting the veil disrupt the hair. Make up, will take on average about 45 minutes for the bride and for each bridesmaids. Again prepare for every eventuality with the weather if travelling to the make up artist. Remember to keep a sense of perspective when planning for your wedding, of course it is important, but don’t let it take over your life completely. You should try hard to involve one another in the decision making process as much as possible (easier said than done when discussing mood boards and floral bouquets with the groom). We have produced this book as a guide to outline most of the main points you may take into account when organising your wedding day. Yet at the same time we would like to express that there are no set rules when getting married, other than the legal side of the ceremony. All brides and grooms are different and each wedding should be as individual as you are. A bride and groom, groom and groom, or bride and bride should never feel pressured into having a wedding a certain way just because that is what tradition dictates. Some of the best weddings are when some of the formalities go out of the window and when wedding couples choose to do things their own way. Of course many wedding couples and guests expect certain customs at a wedding but these days, many a modern wedding will see formalities mixed up alongside personal preferences. No bride or groom should ever feel inclined or pressured into a going ahead with a certain aspect of a wedding they are uncomfortable with, as you should make sure that you are as relaxed on the day as possible. Remember – there is nothing wrong with going to the local registry office, and then just booking a table at the local Chinese restaurant with your nearest and dearest! We hope you have enjoyed this eBook, and we wish you lots of fun and success planning your wedding, and a happy wedding day! EMMA SHAW: VINTAGE STYLE WEDDING IN HERTFORDSHIRE. AUGUST 2014. MILES WASHINGTON: HUMANIST WEDDING IN THE LAKE DISTRICT. JULY 2014.